My daughters and I went to a children's program at our local library last month called Yoga & Yogurt. Albeit a strange combination, we actually had a really great time and both Big Sister E and Little Sister B had fun stretching and bending and getting into all of the animal poses that the instructor showed us. In fact, when the yoga was over and we were happily eating our yogurt, I happened to overhear her mention that her new yoga studio was completed and opening for business the following week... and, coincidentally, it was about three minutes from our house. 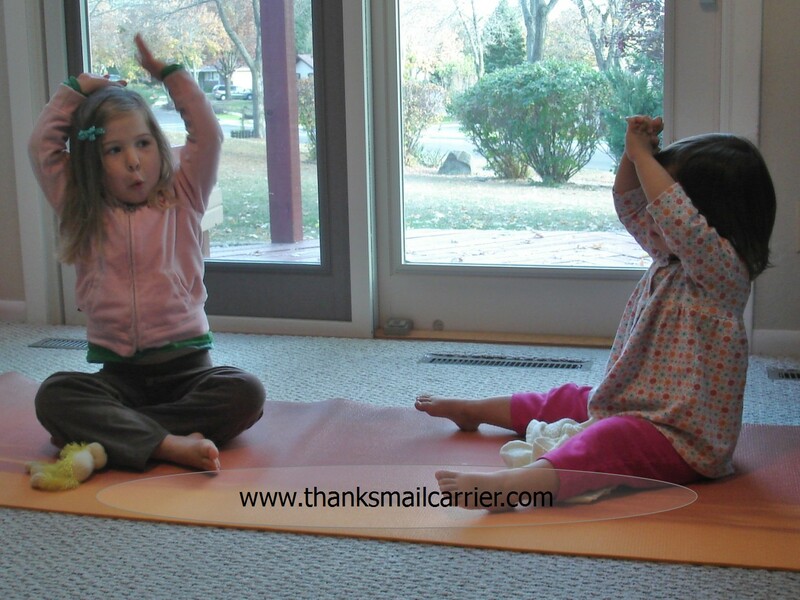 As Big Sister E had particularly enjoyed the program and told me how much she liked yoga, I decided to look into the classes that were offered. Long story short, now every Sunday morning the two of us get into our comfortable clothes and head out to do yoga together. As well as making sure we have on stretchy pants and tops, we're not ready to go out the door until we have our incredible Northern Lights Yoga Mat (safely wrapped up and stored in The Mat Sak) from Aurorae Yoga tossed over our shoulder for another entertaining class. Having thoroughly enjoyed writing an Aurorae Yoga review back in the spring, I was excited to see the new products that they have come out with since then. 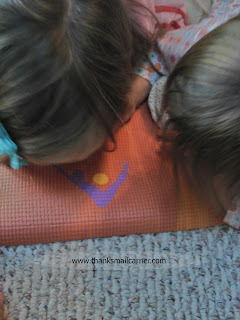 As we really liked their original Yoga Mat, as soon as I caught a glimpse of the beautiful colors of the Northern Lights Yoga Mat I knew that it was going to be both unique and high quality. Being excited about yoga around here, it didn't take a single word before a certain helper or two of mine came over to investigate this new mat and admire the incredible colors mixed throughout the design. With just enough thickness to be comfortable (yet not too much that you can't balance), the Aurorae Northern Lights Yoga Mat is a gorgeous combination of rich, warm colors designed to "awaken the energy within you." Inspired by the sun and its magnetic energy, the blending of the yellows, reds and oranges is immediately calming and relaxing. Clearly awakened and ready to participate, I barely had the full 72" laid out on the floor before the yoga was underway in our house. Constructed out of Eco Safe material (it's biodegradable!) 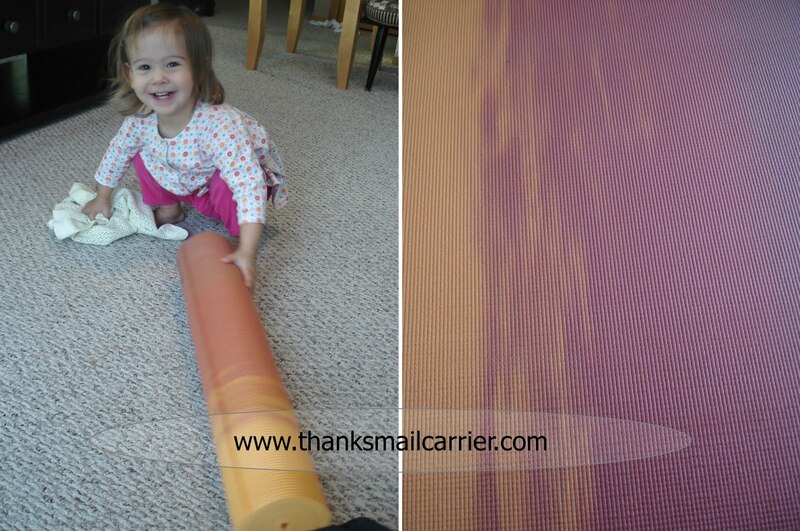 this high quality yoga mat is soft and cushioning without being bulky or too squishy. Big Sister E kept asking me to suggest more and more poses for her and her sister to show off... I think they just wanted an excuse to stay on this comfortable mat! ...and into stepping off of the Northern Lights Yoga Mat so that I could clean it off and put it away. Using the Aurorae Organic Yoga Mat Wash, I loved being able to clean and disinfect this mat quickly, easily and safely. This 4-oz bottle removes sweat, dirt and any lingering bacteria with a few quick sprays (and then simply wipe with a towel and let dry) whenever it is needed. Containing a blend of natural and organic ingredients, the Yoga Mat Wash has a light, pleasant smell and is just the thing to regularly use to keep your mat fresh and chemical-free. And when it's dry, I simply roll it up loosely and conveniently put it away in its Aurorae Denim Yoga Bag, also known as The Mat Sak. I love the adjustable strap and that there are multiple large pockets included right on this fashionable yoga mat carrying bag. 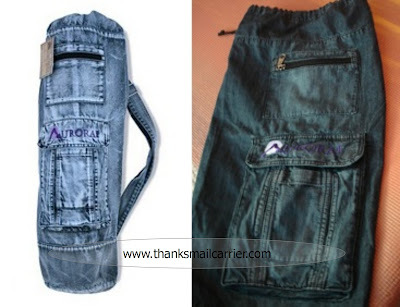 With plenty of room to spare in the main pocket or in the Velcro or zipper pockets, it's great that I can not only tote my yoga mat around with ease, but that my wallet, phone and keys can easily be stored as well. Big Sister E and I are set to go to class every week and my hands are always free! As we are clearly still amateurs, I am even more impressed with the great accessories that Aurorae Yoga offers to further assist in your yoga experience. The Slip Free Rosin Bag is the perfect thing to absorb perspiration and prevent slipping with just a slight touch of the bag and the Aurorae 8-Foot Yoga Strap is great for deeper stretches and holding challenging poses. Someday we'll be pros like this as well, right? Aurorae Yoga Mats include illuminating and inspirational colors, convenient focal point icons and are extra long and thick. Browsing through their best reviewed yoga mats, yoga bags and yoga accessories, you'll find everything a beginner or expert needs to take part in this world-renowned exercise and their warm, friendly customer service really can't be beat. 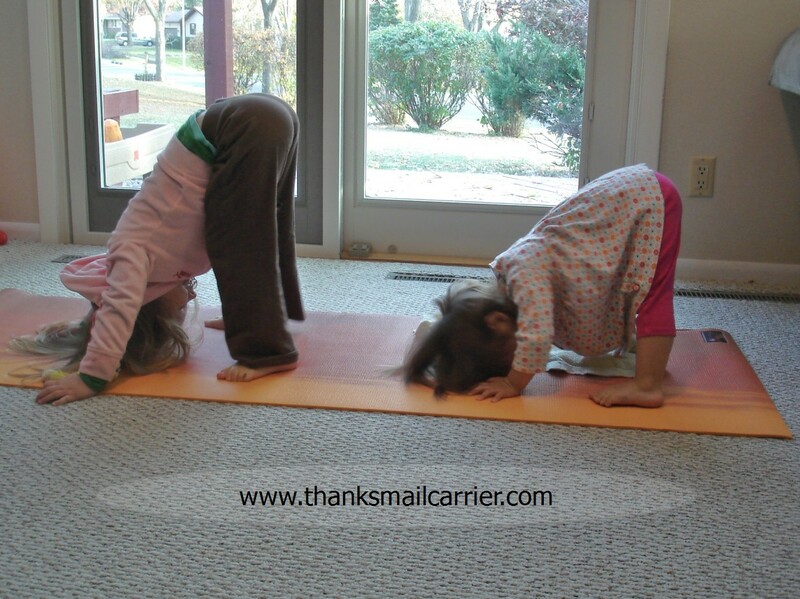 It's no wonder Aurorae Yoga is a top-rated company and has the best-reviewed products on Amazon.com! 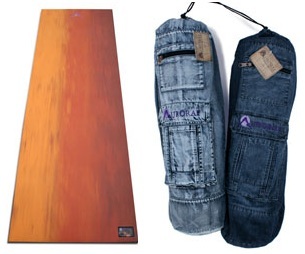 One lucky person will win a Northern Lights Yoga Mat and The Mat Sak from Aurorae Yoga! ARV $70! To enter to win: Visit Aurorae Yoga and tell me something that you learned about this wonderful company or their products. 1 Extra Entry (per method) if you follow Aurorae Yoga on Twitter and/or Like them on Facebook. A big thank you to Aurorae Yoga for providing a Northern Lights Yoga Mat, The Mat Sak, Slip Free Rosin Bag and Yoga Strap for me to review as well as a Northern Lights Yoga Mat and The Mat Sak for one lucky giveaway winner. The opinions shared are my own and honest and if you really need to see more, click here to see how I roll. I learned that they have a focal point icon on their mats! This is so cool! I'm following Aurorae Yoga on Twitter. I learned that they also do wholesale orders! I learned that all products are eco safe. They also sell a Sports Sweat Towel. 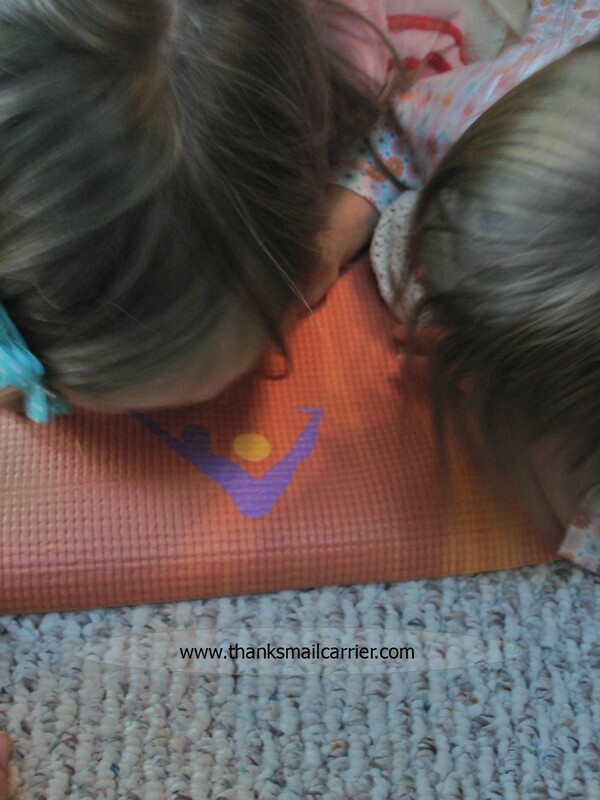 I learned that their Northern Lights mat is eco safe, biodegradeable and Phthalates free! THAT is impressive!!!! I added your button to my featured giveaways page. I learned that the yoga mats are available in long and extra thick. And to never put them in the dryer:). 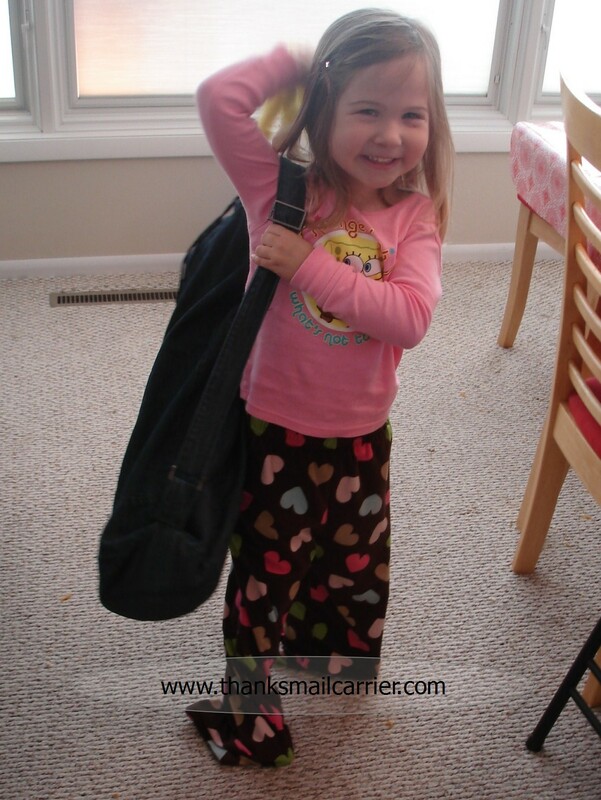 I blogged this giveaway on my featured giveaways page. Hi! Thanks for letting me know about the side bar! It actually worked a little after I posted it, but then I just looked now & it's that way again. It must be an error. Thanks for following & I'm your newest follower! I hope you have a great day! I learned that a company actually makes extra long yoga mats. No need for me but for my husband he could use that! I like that they guarantee your order satisfaction! i learned that they sell an awesome bundle called the Slip Free, Wash and Stretch Package that has great yoga accessories for a fraction of their individual price! I liked Aurorae on Facebook. they make an organic mat wash! i learned they have a focal point icon on their mats. I learned I can wash my yoga matt. I learned that the colors are designed to go with your inner self (or hope!). MANDATORY ENTRY: I learned that the 'Organic Mat Wash' is biodegradeable. That's very important to me! I'm a Tree Hugger so I try and purchase items that won't hurt our planet. Entered the Energizer Qi giveaway.